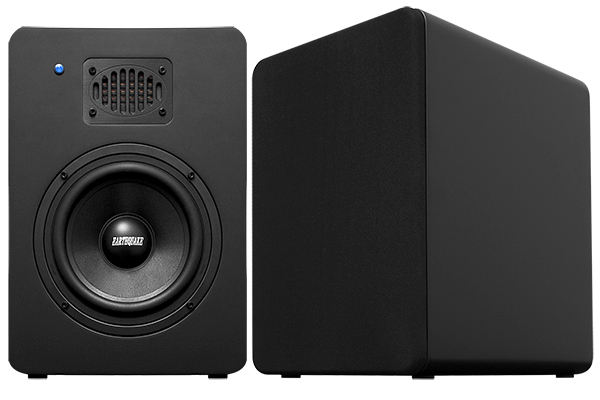 Building on the legacy of the iQuake series the new StudioQuake line continues the quest to be the best powered monitor speaker on the market today. With a focus honed on audio quality the StudioQuake features wideband ribbon tweeters, stiff aramid glass fiber woofers - powered by a high-end bi-amplification architecture giving each drive unit a dedicated amplifier. Adhering to a stringent high performance, no-nonsense philosophy the StudioQuakes feature clean lines, smooth rounded corners and seamless magnetically attachable grilles. The dark graphite finish is elegant without being flashy. No gimmicky displays, blinking lights or novelty features. Just serious performance that leaves you free to produce or enjoy music. Built from the ground up with the fundamental elements that makes a product distinctly Earthquake - Power, Performance and Quality. It is our sincere belief that the combination of price, performance and quality makes the StudioQuake line the best in this category on the market today. 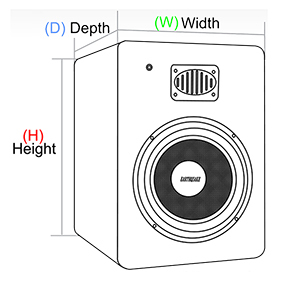 For over 27 years Earthquake has been designing and manufacturing top quality audio equipment. The StudioQuake is no exception to this ledger of excellence. We are certain that you will enjoy using them for many years.